We have tested numerous Shape5 Vertex templates with 3.5 and have not found any problems with our products running in 3.5. We feel confident that you can safely upgrade any Vertex install. Forte, one of our popular free designs is now available for WordPress! Forte was designed to showcase off the many great features of our Vertex framework. It's clean design will adapt most any kind of website. Forte brings features and design that you would expect to see in a paid theme, but we are offering this amazing theme totally for free to introduce you to the power of our Vertex framework, which our paid theme are built on and share most of the same features. This theme comes with many great features such as: customized S5 Image and Content Fader styling, custom highlight color, custom font options, enable or disable uppercase letters, hide sub arrows, full control over the body shadow, adjust the background and row colors via the Vertex admin, and much more! The best feature of Forte though is that it is 100% free! Be sure to check out the demo to see this and all of the other great features in action! 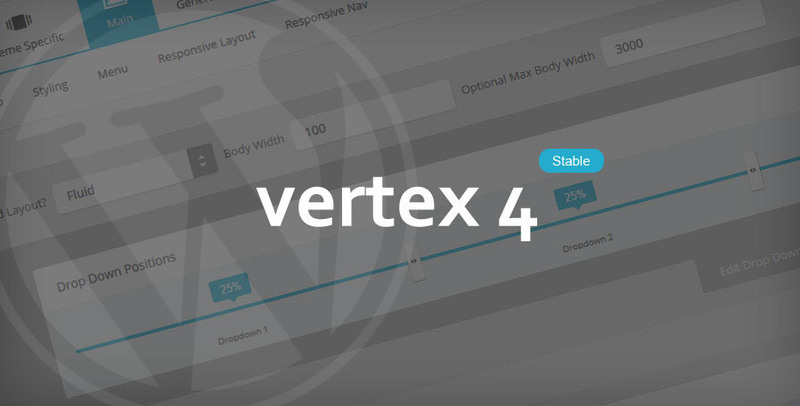 We are happy to announce that Vertex 4 for WordPress is now ready for download. You can head on over to the Vertex Framework download area, navigate to WordPress and grab the patch to upgrade your existing Vertex site to Vertex 4. Vertex 4 is completely backward compatible with previous Vertex themes, so you can continue using your old Vertex themes after patching! We are pleased to announce the release of Forte, a 100% free template for our Joomla users! 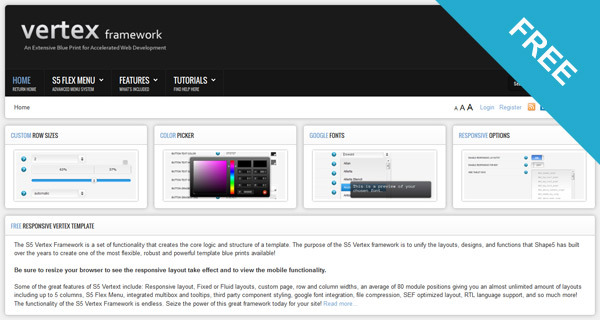 Forte was designed to showcase off the many great features of our Vertex framework. It's clean design will adapt most any kind of website. Forte brings features and design that you would expect to see in a paid template, but we are offering this amazing template totally for free to introduce you to the power of our Vertex framework, which our paid templates are built on and share most of the same features. This template comes with many great features such as: customized S5 Image and Content Fader styling, custom highlight color, custom font options, enable or disable uppercase letters, hide sub arrows, full control over the body shadow, adjust the background and row colors via the Vertex admin, and much more! The best feature of Forte though is that it is 100% free! Be sure to check out the demo to see this and all of the other great features in action! We are happy to announce that Vertex 4 for Joomla is now out of beta, stable and ready for download. 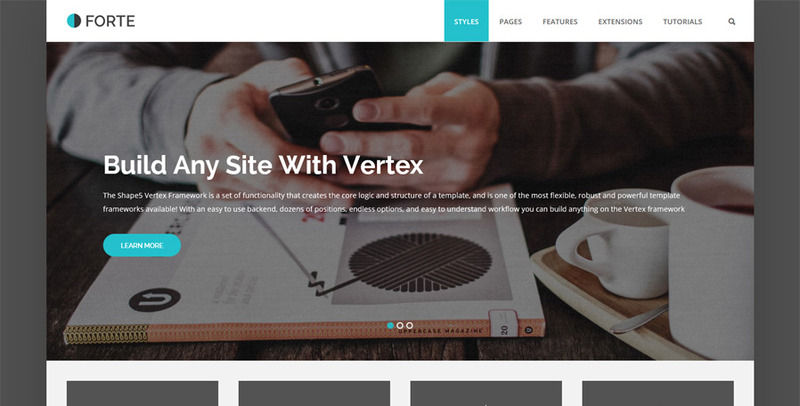 You can head on over to the free templates area under the Vertex Joomla template and grab the patch to upgrade your existing Vertex site to Vertex 4. Again Vertex 4 is completely backward compatible with Vertex 3 so you can continue using your old Vertex 3 templates with Vertex 4! NOTE: If you have the BETA version of Vertex 4 installed be sure to upgrade with this stable patch as updates were made and several bugs squashed during the process. We are extremely excited to announce a new feature of our website called Custom Services. This service was designed specifically to help take the stress and frustration out of any projects you may be working on and pair you with an experienced Shape5 developer to get them completed much faster. We have a variety of services that we offer with both fixed prices or quotes based on the type of work you are looking to get completed. All the work is completed in house by our development teams and nothing is ever outsourced to 3rd party companies. We highly recommend taking advantage of this service promptly as spaces may become limited very fast and trigger a priority queue. If you have any questions about a specific service please fill out one of the forms at the above link and we will be in contact with you promptly. We are celebrating the beta release of our Vertex 4 framework with great savings for our Shape5 customers! From now until July 22, 2015 receive 25% off of any new or renewing membership of any level! 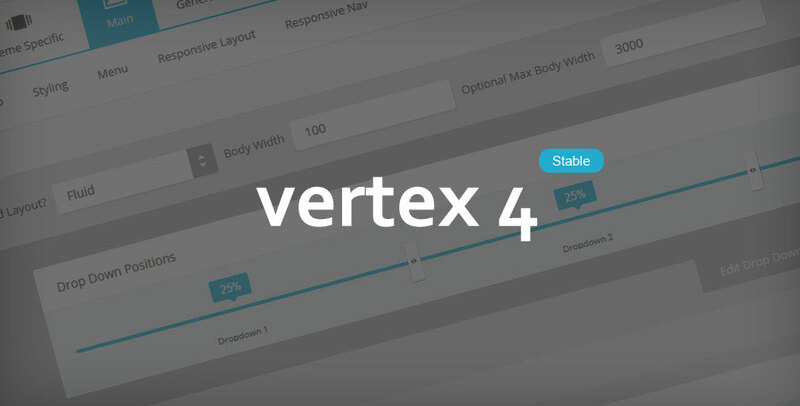 Find out more about Vertex 4 here. 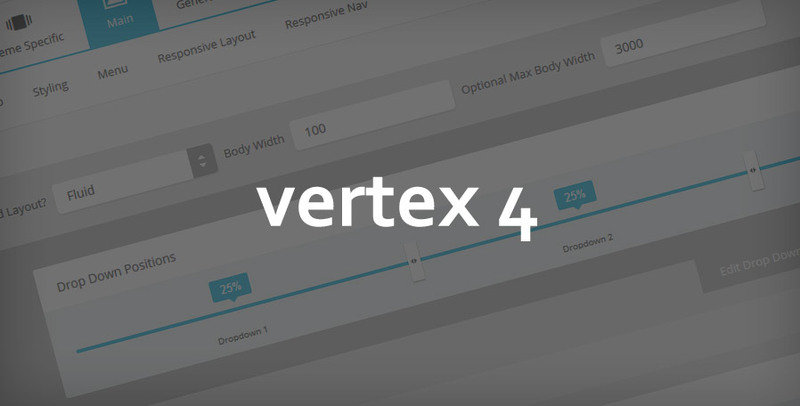 We are very excited to announce the release of Vertex 4 Beta! This version is not meant for production sites, it is meant for customer testing only. We have spent hundreds of hours developing and debugging this new version, and the result is a faster framework, consolidated backend, and easier to use interface. If you would like to take part in this beta test, more information about the Vertex 4 patch is found at the bottom of this article, as well as where to report any feedback or issues you encounter. We appreciate your time and hope you enjoy this new version of Vertex! We are welcoming in the Spring and Easter Season with fantastic savings for our Shape5 customers! From now until April 22, 2015 receive 35% off of any new or renewing Developer Memberships, 25% off of all Best Value Memberships, and 15% off of all Basic and Extended Memberships.